Tuberculosis management refers to the medical treatment of the infectious disease tuberculosis (TB). 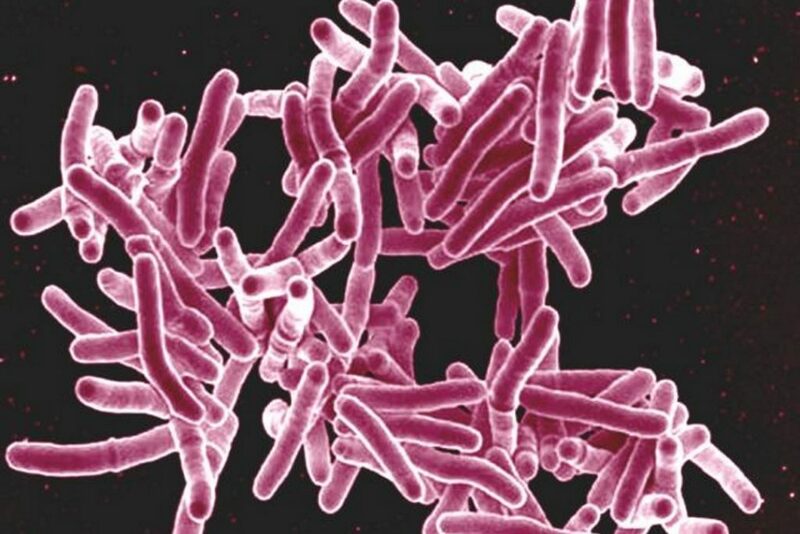 More than twenty drugs have been developed for the treatment of TB. The drugs are used in differing combinations in different circumstances. For example, some TB drugs are only used for the treatment of new patients who are very unlikely to have resistance to any of the TB drugs. There are other drugs that are only used for the treatment of drug-resistant TB. It is essential to take several TB drugs together. If only one TB drug is taken on its own, then the patient will very quickly become resistant to that drug. These drugs are listed here either because they are not very effective or because their efficacy has not been proven. New case: A patient who has never had treatment for TB or has taken anti-tuberculosis drugs for less than one month. Relapse case: A patient declared cured of TB by a physician but who reports back to the health service and is found to be bacteriologically positive. Transferred in case: A patient who has been received into a Tuberculosis Unit/District after starting treatment in another unit where he has been recorded. Treatment after default case: A patient who has received anti-tuberculosis treatment for one month or more from any source and who has interrupted treatment for more than two months. Failure case: An initial smear positive patient who remains smear positive at five months or more after starting treatment OR an initial smear negative patient who becomes smear positive during the course of treatment. Other: A patient who does not fit into any of the above categories. e.g., a relapse patient may be smear negative or an extra-pulmonary TB patient who has not responded to treatment. Such patients are categorized as others and receive category two treatment. Treatment falls into various categories based on the severity/type of disease. There was in future to be no treatment category 3. All new TB patients in India should receive an internationally accepted first-line treatment regimen (a regimen is the prescribed course of treatment, in this case, the TB drugs) for new patients. The initial phase should consist of 2 months of the drugs Isoniazid (H), Rifampicin (R), Pyrazinamide (Z) and Ethambutol (E). The continuation phase should consist of the three drugs Isoniazid, Rifampicin and Ethambutol given for at least four months. In special situations, the continuous phase may be extended by three to six months. The drug dosages should be given according to the body weight of the patient. then they may receive the retreatment regimen containing first line drugs, in a similar way to new TB patients but with the main difference being the addition of streptomycin to the intensive phase. This recommendation seems rather surprising but is apparently currently under review, as the addition of a single drug to a failing regime, is usually something that should never be done with TB therapy. If a drug sensitivity test is available, then this is likely to give a better guide to what a retreatment regimen should consist of. Treatment for categories 4 and 5 are mentioned in the article Drug Resistant TB. In very few cases people may experience jaundice, which is the yellowing of skin or eyes. If this happens, stop taking your medication and tell your doctor straight away. Patients should always discuss any side effects with their doctor, as it may be possible to change TB medication. People with TB should be tested for liver and kidney problems before starting treatment. They will need to be monitored throughout treatment and may need dose adjustments. There are a number of ways to help patients manage side effects, including Directly Observed Treatment (DOT). With support, most people with TB are able to manage the side effects of the drugs effectively. DOTS or Directly Observed Treatment Short course is the internationally recommended strategy for TB control that has been recognized as a highly efficient and cost-effective strategy. DOTS comprises five components. Standardized short-course anti-TB treatment (SCC) given under direct and supportive observation (DOT). Helps to ensure the right drugs are taken at the right time for the full duration of treatment. A regular, uninterrupted supply of high quality anti-TB drugs. Ensures that a credible national TB program does not have to turn anyone away.